A personal motto, and one I am admittedly bad at adhering to, is, “Don’t ask any questions you don’t know the answer to.” It’s a bit off the mark, just in terms of semantics, because the real meaning is, “Don’t ask a question if you know the answer is the one you don’t want.” My phrasing allows you to let yourself off the hook a little, particularly as it applies to when you’d really rather be in denial over whatever is at issue. 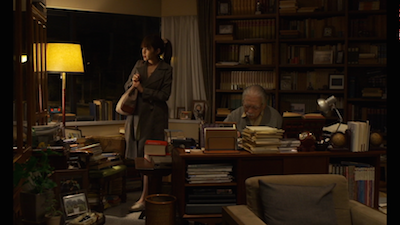 The old professor Takashi Watanabe (Tadashi Okuno) says something similar in Abbas Kiarostami’s latest, Like Someone in Love. His version, paraphrased, is don’t go asking questions if you suspect you’re going to be lied to. In other words, you’re probably right, so hang on to your ignorance. It’s the suspicious person’s version of, “Better to be silent and thought a fool than open your mouth and remove all doubt.” A quote that itself, in its various forms, is regularly attributed to several different people, all whom likely said a variation of the same thing. The story begins not with the old professor, but with Akiko (Rin Takanashi), a student in Tokyo who has a jealous boyfriend and the worst kind of job for being in a relationship with such a fellow. In short, she is a call girl, however reluctantly, and not without her fair share of shame. Watanabe is her client for the evening, though however we might judge him at the outset, it’s never clear he has any sexual designs on the girl. Upon arrival, he insists she sit down for a meal, even as she lures him into the bedroom in hopes of getting him to climb into bed and take a nap. She notices a resemblance between herself and photos of different women of different ages scattered around his apartment. A neighbor later mistakes her for his granddaughter, while also suggesting that something went wrong in Watanabe’s past to chase away the women in his life. 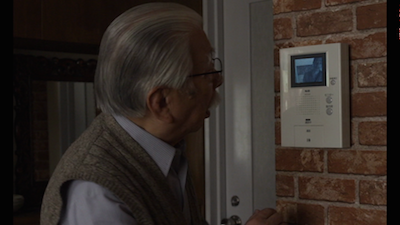 It’s quite possible the old man is just hiring Akiko to fill a hole he’s not been able to close. Because he certainly falls into the role of parental caretaker. The day after their would-be date, he drives the girl to her university. There he meets her fiancé, the volatile Noriaki (Ryo Kase). The boy suspects what Akiko is up to, and he vacillates between believing the evidence and expecting Akiko to deny it. It’s him that Watanabe advises against giving his lover room to be deceitful. Somewhat ironically, he’s allowing Noriaki to think he is Akiko’s grandfather at the time. It’s a convenient fiction, one that the younger man would be better off letting stand, as well. Everyone here has either invented a role for themselves or let someone else do it for them. Or they’re projecting the image they want onto someone else. Noriaki wants Akiko to be the virtuous woman he imagines, and he all but admits his intentions of marrying her are so that she can no longer be, or even pretend, otherwise. What’s interesting about Like Someone in Love is that Kiarostami’s script is not interested in exposing the lies or revealing the secrets behind them, but rather the lengths each character will go to in order to preserve their inventions. The professor has no tearful revelations about past mistakes, nor does the student rationalize her decisions to justify how she makes money. In fact, they are the sympathetic ones here, both for their need to preserve some kind of dignity and for how they find comfort in one another. The only information required is that they somehow need what these fictions supply, needs that extend beyond the sexual and the economic. In that vein, Noriaki is the one for whom there is little empathy. He projects his lies on others with the petulance of a child. His coping skills leave much to be desired. In light of recent events in Santa Barbara, it’s possible I am judging him a little harshly, but Kiarostami has cast him as a bit of a cliché brute. He’s a mechanic and an anti-intellectual who can’t take a woman being anything but fully focused on him. Credit to Kase for how nonchalant he manages to make some of the more chilling moments. The way he asks Akiko what book she plans to buy at the bookstore is unsettling. What should be innocuous curiosity suddenly takes on a darker subtext. 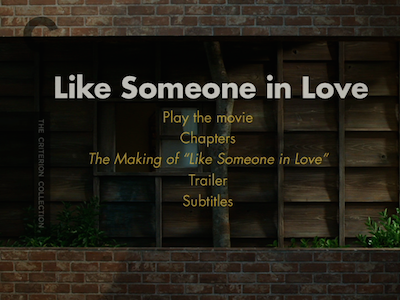 Like Someone in Love is told as a quartet of long sequences. There is Akiko getting the job and heading to Watanabe’s, her night in his apartment, the day out together where they meet Noriaki, and their rejoining one another later. Though there are brief detours in each, those are essentially the four acts of Kiarostami’s narrative. He allows each scenario to run its course, preferring natural conversations to carefully edited dialogue or snippets of interactions. A good portion of the movie is spent inside Watanabe’s car, parked outside Akiko’s school. He drops her off, he sees her argue with Noriaki, he talks to Noriaki, and then they are joined by the girl. 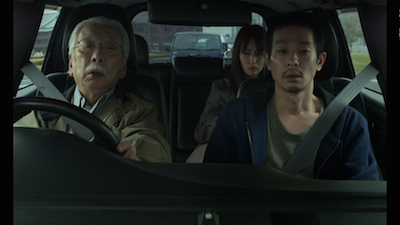 Kiarostami doesn’t cut away upon her arrival, but instead shoots from the hood of the car, peering in through the windshield, even as the old man starts the vehicle and pulls away from the curb. We are outside and inside simultaneously. This makes Like Someone in Love one of those movies that defies traditional narrative and instead mimics the rhythms of real life. And yet, this too is a construct, a fiction that the filmmaker establishes and then tricks us into buying into--at least in the sense that he uses the simulacrum of realism to inspire us to invest in the happenings in a completely different way. The usual story logic by which we can predict the story’s developments, the act breaks, and the film’s climax, is taken away from us. We must watch and wait. The movie even ends at a moment we would not expect. Were it to keep going, Kiarostami would have to violate his own rule about explaining things here. The next scene, were it to happen, would require resolution and denouement. Instead, the storyteller stops just before the bubble bursts, ducking out right at the moment of impact--literally so for his characters, figuratively for those of us observing. This disc was provided by Criterion for purpose of review. 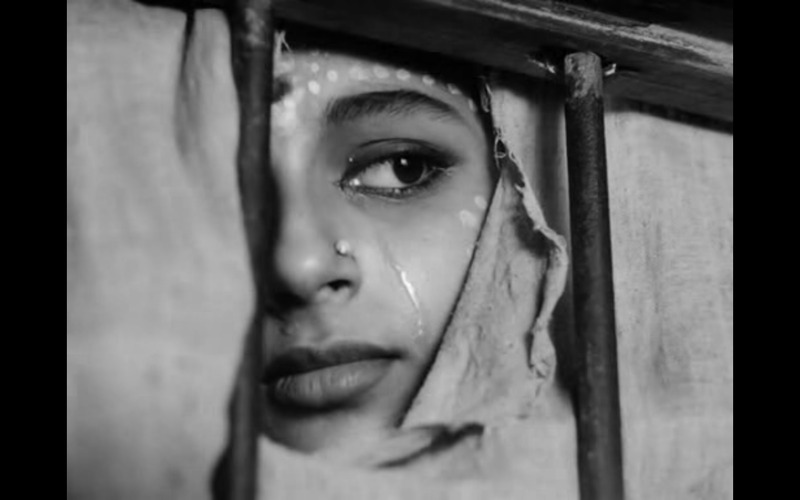 Thought not in the Criterion Collection officially as of yet, Satyajit Ray's seminal early films have been long rumored to be an upcoming addition. Portland is getting a chance to see all three films in The Apu Trilogy this week, and I wrote a short blurb for the Oregonian. Follow this link for movie times.